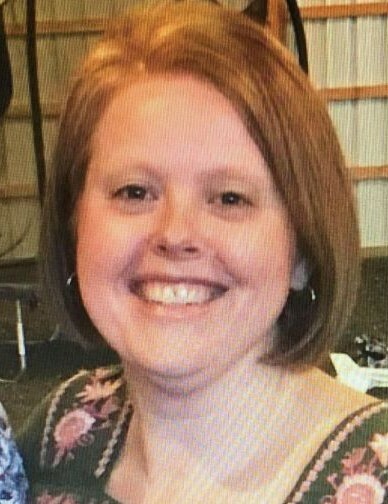 Catina Marie Isaacs, “Tina,” age 44, of Kenton, Delaware, went home on Friday, September 7, 2018. Mrs. Isaacs was born on May 14, 1974, in Dover, Delaware, the daughter of Douglas William Shane and Sandra L. (Lewis) Shane of Smyrna, Delaware. Tina was a graduate of Smyrna High School, class of 1992, where she held the position of Drum Major in the marching band. She was also a first state clarinet player and a member of the National Honor Society. She went on to earn her Bachelor’s Degree in Business from Wesley College in Dover, Delaware, class of 1996. Upon her graduation from Wesley, Tina entered the legal field and worked for several law firms in Delaware. Her years of experience led her to join Christiana Hospital in Newark, Delaware in the legal department, where she held several positions including her last position in the Vendor Contract Management Department. Tina was a member of the Rebekah Assembly of Delaware where she served as State Musician. She was also a very active High School Band Booster parent at Polytech. Of all her accomplishments and talents, Tina was most proud of her three children and being a devoted mother to them. She was preceded in death by her older brother, Douglas W. Shane, Jr.; and her grandparents, Alfred and Emma Shane, and Nate and Betty Plass, and William Lewis. In addition to her parents, Tina is survived by her loving husband, Will F. Isaacs, Jr.; her children, Grayson Isaacs (age 17), Rachel Isaacs (age 15), and Wyatt Isaacs (age 12); her step-daughter, Kristen Hamilton and step-grandchildren, Braedon and Kaelyn Moffitt; her step-son, Lance Isaacs; her brother, Michael Shane, Sr.; and several aunts, uncles, cousins, nieces and nephews. A viewing will be held on Saturday, September 15, 2018 from 10 am to 12 pm in the Faries Funeral Chapel, located at 29 South Main Street in Smyrna. Funeral services will begin at 12 pm. Burial will follow at Glenwood Cemetery in Smyrna.